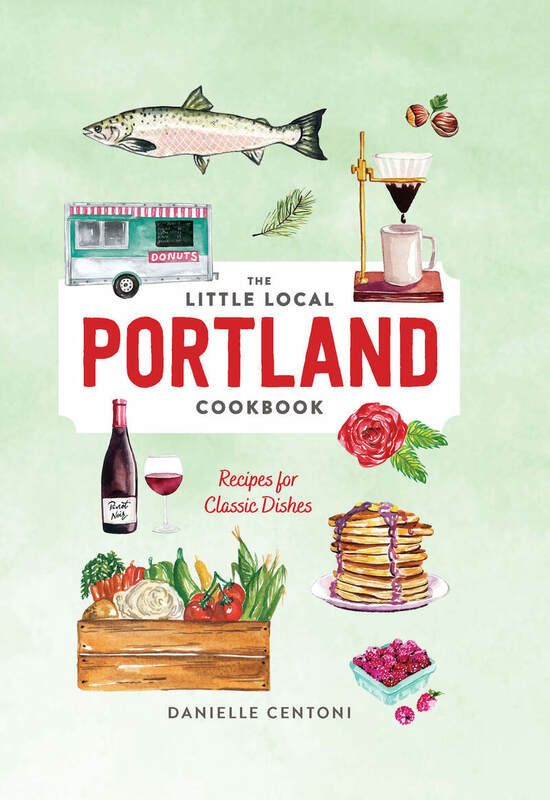 The Little Local Portland Cookbook brings the essential flavors of Portland, Oregon, to your table. From special coffee drinks and brunch dishes like Huckleberry Hotcakes and Salmon Hash, to delicious Oregon Bay shrimp cocktail, skirt steak with pinot sauce, and Dungeness crab cippino, you’ll find recipes for iconic Portland dishes for every meal. Written by a regional food expert and beautifully illustrated, this little cookbook is the perfect souvenir. Danielle Centoni is a Portland-based, award-winning food and travel writer and cookbook author. Her work has appeared in a variety of publications including Better Homes and Gardens, Bon Appetit, Rachael Ray Everyday, EatingWell, and The Kitchn. Her most recent cookbook is Portland Cooks: Recipes from the City’s Best Restaurants and Bars.